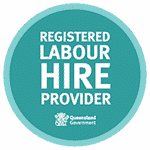 Oil and Gas Multi-National - Zelda Recruitment & Job Agency | Brisbane | The best jobs in Queensland. An exacting client, with numerous requirements across a broad range of disciplines, our client requires “permanent” candidates but only offers 12-month contract terms. To further complicate the job briefs, all candidates are required to be multi lingual. To date we have successfully provided strong short lists of 3-5 candidates and given the client a dilemma of choice, despite the strict briefs. Donald McAllister pleasantly surprises with the calibre of candidates he produces. Donald is a strong advocate of the organisation: he has a thorough understanding of the culture and demands of the environment and promotes candidate engagement. Donald is responsive and a considered professional who can be relied upon.